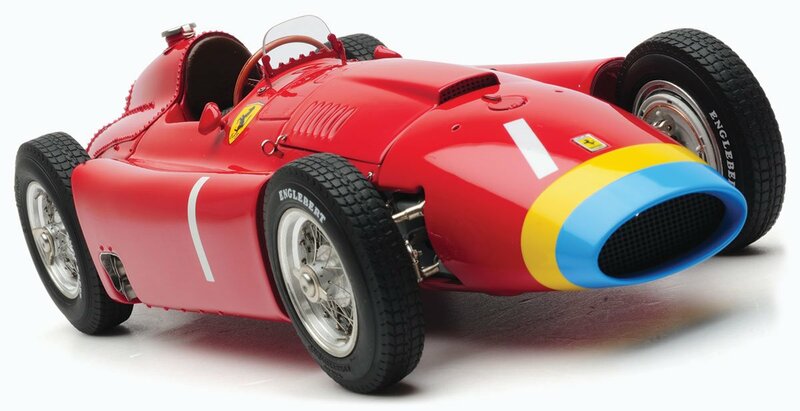 CMC has now released the first two racing variants of its 1:18 replica of the 1956 Ferrari D50. They are both grand prix winning cars: Juan Manuel Fangio’s long nose car from Germany, and Peter Collins’ short nose car from France. The Fangio car is doubly exciting as it is a world championship winner that has never been modelled in 1:18 scale before. The fight for the 1956 title was a close affair between Fangio and Collins. After four races they had taken a win apiece; Fangio in the opener in Argentina, and Collins in Belgium. 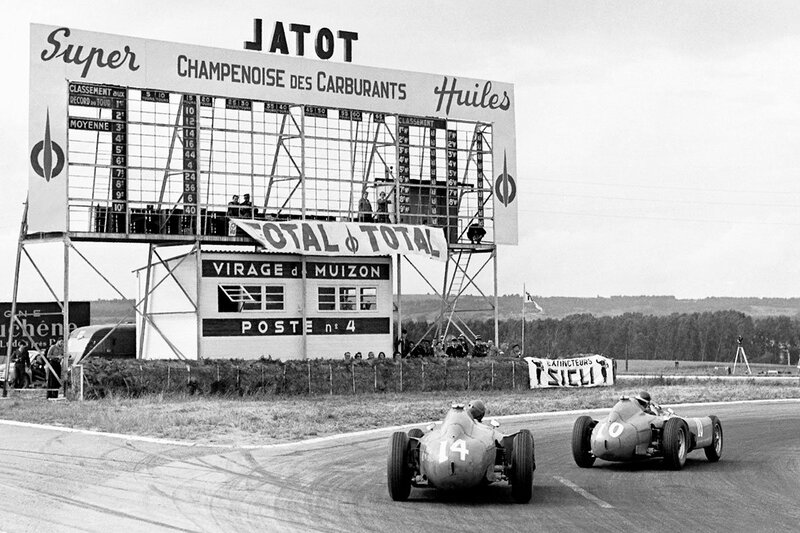 Round five was the French event, with Fangio taking pole while Collins joined him on the front row. It was the Englishman who would prevail in the #14 car come the chequered flag, narrowly beating Eugenio Castellotti in another Ferrari. A fourth place finish for Fangio gave Collins the championship lead. Fangio would win next time out on the Englishman’s home turf at Silverstone however, before the circus descended on the Nurburgring. Fangio was in imperious form on this occasion, taking pole position from his English colleague. Although Collins seized the lead going into the first corner, Fangio was through before the end of the first lap, and went on to take a resounding victory. This, coupled with a retirement for Collins, (forced out with a fuel leak) put the Argentinian in a commanding position in the championship, and he would duly take the fourth of his five world titles. CMC’s replica is everything that you would expect from the legendary model maker. Made from 1,161 separate parts, it of course comes with detachable bodywork, so that you can gaze in awe at the intricately detailed V8 engine, complete with all the correct pipes and cabling. These models are limited editions of just 1,500 pieces each worldwide, but much smaller numbers than that will have made it to these shores. That, coupled with the fact that we are able to offer them at a bit of a discount, (£564.99 instead of £589.99), means that we do not expect them to stay on our shelves for long.